Mrs Ngozi Uzoamaka Onuorah was appointed as the Director of Chemical Evaluation and Research Directorate (CER) in March 2017. She joined the Federal Public Service in 1989 as a Senior Pharmacist in the Department of Food And Drug Administration and Control (FDAC) of the Federal Ministry of Health. When the National Agency for Food and Drug, Administration and Control (NAFDAC) was carved out of the FDAC, she became one of the pioneer staff of NAFDAC. 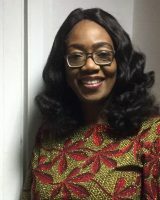 Mrs Onuorah before her present appointment has served as a Deputy-Director at Export Division of the Ports Inspection Directorate, Narcotics Control, Restricted and Agricultural Chemicals Division, Drug Abuse Control Division and Port Drug Division between 2004 – 2017. A seasoned Public servant with more than twenty eight years hands-on experience in regulatory work, She has worked extensively in Chemical Control, Narcotics Control, Drug Demand Reduction, Port Processing for Drugs, Vaccines/Biologics, Cosmetics, Medical Devices and Chemicals, Pharmaceutical Establishment Assessment and Audit, Planning and Manpower Development, Administrative Functions and other Adhoc Functions related to Regulatory Science with a strategic bent of mind, keen eye for detail, good client servicing skills coupled with excellent team management skills. She graduated from the University of Nigeria Nsukka (UNN) in 1984 with Bachelor of Pharmacy and obtained a Master of Science in General Public Health from the University of Lagos in 2010. She had the privilege to attend trainings, courses and conferences locally and internationally. She has represented the agency in various assignments and fora and has served as part of Nigeria delegation to several meetings of the United Nations and its affiliated agencies. Pharm. Ngozi Onuorah is a member of the Pharmaceutical Society of Nigeria and a Fellow of the West African Post Graduate College of Pharmacists. She has been decorated with an award by the Young Pharmacists Group as a Mentor.